Friday, Feb. 24, 7:00 p.m. The Rangers will face-off against the New York Islanders at Nassau Coliseum (7:00 p.m.; TV: MSG Network; Radio: 1050 ESPN Radio), in the first game of a back-to-back set. The Blueshirts currently sit atop the Eastern Conference standings, and rank third in the league overall, with a record of 38-15-5 (81 pts). The Rangers enter the contest having been defeated by the Pittsburgh Penguins, 2-0, on Tuesday at CONSOL Energy Center, and are now 9-3-1 in their last 13 games. The Blueshirts are 21-7-1 in their last 29 contests, dating back to Dec. 17, and have registered at least one point in 38 of their last 50 games since Oct. 29 (35-12-3) after beginning the season with a 3-3-2 mark. The Islanders enter the contest with a 25-27-8 (58 pts) record to rank 13th in the Eastern Conference, and have lost three of their last four games. 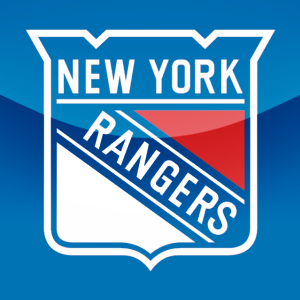 Following the contest, the Rangers will face-off against the Buffalo Sabres tomorrow, Feb. 25, at Madison Square Garden (7:00 p.m.), to close out their back-to-back set. The Rangers were defeated by the Pittsburgh Penguins, 2-0, tonight at CONSOL Energy Center, and are now 9-3-1 in their last 13 games. New York has posted a record of 38-15-5 (81 pts) on the season, including a 19-8-3 mark on the road. Tuesday, Feb. 21, 7:00 p.m. The Rangers will face-off against the Pittsburgh Penguins at CONSOL Energy Center (7:00 p.m.; TV: MSG Network; Radio: 1050 ESPN Radio). The Blueshirts currently sit atop the Eastern Conference standings, and rank third in the league overall, with a record of 38-14-5 (81 pts). The Rangers enter the contest having defeated the Columbus Blue Jackets, 3-2, in overtime on Sunday at Madison Square Garden for their fifth win in six games, and are now 9-2-1 in their last 12 games. The Blueshirts are 21-6-1 in their last 28 contests, dating back to Dec. 17, and have registered at least one point in 38 of their last 49 games since Oct. 29 (35-11-3) after beginning the season with a 3-3-2 mark. The Penguins enter the contest with a 33-21-5 (71 pts) record to rank sixth in the Eastern Conference, and have lost two of their last three games. Following the contest, the Rangers will face-off against the New York Islanders on Friday, Feb. 24, at Nassau Coliseum (7:00 p.m.), in the first game of a back-to-back set. – The Rangers defeated the Pittsburgh Penguins, 3-1, tonight at CONSOL Energy Center to extend their winning streak to four games, and have now won nine of their last 10 games. – New York improved to 26-9-4 (56 pts) on the season, including a 14-6-2 mark on the road. – The Rangers swept their sixth back-to-back set of the season, and fifth straight, and are now 5-0-1 in the second game of back-to-backs. Since 2009-10, New York is 26-8-3 in the second game of back-to-back sets, with a 13-5-2 mark on the road over the span. The Rangers have posted a 10-0-2 record in back-to-back games this season. Friday, Jan. 6, 7:00 p.m.
TONIGHT’S GAME: The Rangers will face-off against the Pittsburgh Penguins tomorrow at CONSOL Energy Center (7:00 p.m.; TV: MSG 2; Radio: 970 The Apple), to conclude their back-to-back set. The Blueshirts currently sit atop the Eastern Conference standings, and rank first in the league overall, with a record of 25-9-4 (54 pts). The Rangers enter the contest having defeated the Florida Panthers, 3-2, in overtime last night at Madison Square Garden to extend their winning streak to three games, and have won eight of their last nine games. New York has posted a record of 22-6-2 since Oct. 29, after beginning the season with a 3-3-2 mark. The Penguins enter the contest with a 21-13-4 (46 pts) record to rank sixth in the Eastern Conference, and have lost their last two games. Following tomorrow’s contest, the Rangers will face-off against the Phoenix Coyotes on Tuesday, Jan. 10, at Madison Square Garden (7:00 p.m.), in their first of four games in six days. Sunday, Mar. 20, 12:30 p.m.
Wednesday, Dec. 15, 7:00 p.m.
* The Rangers defeated the Pittsburgh Penguins, 3-2, in overtime tonight at the CONSOL Energy Center to improve to 10-7-1 overall, including a 6-2-0 mark on the road. The Blueshirts have won their last three games, including two overtime victories during the stretch. * Ryan Callahan tallied the overtime game-winning goal at 3:38 of the extra frame, added a shorthanded assist and was credited with a game-high, six hits in 20:14 of ice time. Callahan has registered three points (one goal, two assists) in the last three games. * Henrik Lundqvist stopped 37 shots to improve to 7-5-1 overall, including a 5-2-0 mark on the road this season. He has stopped 30 or more shots in nine of his 13 appearances this season and is now 6-3-0 in his last nine starts, registering a 2.12 goals against average, .926 save percentage and two shutouts over the span. * Defenseman Marc Staal notched a shorthanded goal with 1:26 remaining in regulation to tie the score at two goals apiece and send the game into overtime, and logged a team-high, 29:24 of ice time. His goal came just 27 seconds after the Penguins recorded two goals in a 38-second span to take the lead. The goal was Staal’s first career shorthanded tally, and he now leads all Rangers’ defensemen with three goals on the season. * Brandon Dubinsky registered two assists, including the primary assists on Staal’s game-tying shorthanded goal at 18:34 of the third period and Callahan’s overtime game-winner, and posted a plus-two rating in 22:36 of ice time. * After a scoreless first period, Erik Christensen opened the game’s scoring with an even strength goal at 10:16 of the second, assisted by Ruslan Fedotenko and Matt Gilroy. Christensen has now registered four points (one goal, three assists) in the last two games. Fedotenko recorded the primary assist on the goal to extend his scoring streak to three games, registering five points (two goals, three assists) over the span. Gilroy has tallied an assist in each of the last two games. * Dan Girardi recorded an assist on Callahan’s overtime game-winning goal, and posted a plus-two rating in 27:35 of ice time. He has registered four assists in the last six games. Girardi now leads all Rangers’ defensemen and is tied for sixth on the team in scoring with nine points, and is tied for second on the Rangers with eight assists. His eight assists are also tied for 16th among NHL defensemen, and he is tied for 25th among league blueliners in points. * Steve Eminger led all skaters with five blocked shots and logged a season-high, 26:07 of ice time. * The Blueshirts held the Penguins scoreless in six power play opportunities (12:00) tonight and have now surrendered just one goal in their last six contests, registering a 95.2% success rate (20-21) over the span. * New York was not awarded a power play opportunity in the contest. The last time the Rangers did not have a power play attempt in a game was Jan. 16, 2007 at New Jersey (L, 0-1). * The Rangers do not have practice scheduled for tomorrow, Nov. 16. * The Rangers will return to action when they face-off against the Boston Bruins on Wednesday, Nov. 17, at Madison Square Garden (7:00 p.m.), in an Original Six match-up. The Blueshirts will wear their new heritage jersey, unveiled on Friday to celebrate the franchise’s 85th anniversary, for the first time during Wednesday’s game. Prior to the game, the Rangers’ morning skate is scheduled for 10:30 a.m. at the MSG Training Center. Monday, Nov. 15, 7:00 p.m. The Rangers will face-off against the Pittsburgh Penguins today at the CONSOL Energy Center (7:00 p.m.), to close out their back-to-back set. The Blueshirts currently rank second in the Atlantic Division standings, and fourth in the Eastern Conference, with a record of 9-7-1 (19 pts). The Rangers enter tomorrow’s contest having defeated the Edmonton Oilers, 8-2, earlier today at Madison Square Garden to close out their four-game homestand with a 2-2-0 record. The Penguins enter the contest with a 9-8-1 (19 pts) record to rank sixth in the Eastern Conference, and have won each of their last two contests. Following tomorrow’s game, the Rangers will face-off against the Boston Bruins on Wednesday, Nov. 17, at Madison Square Garden (7:00 p.m.), in an Original Six match-up. The Blueshirts will wear their new heritage jersey, unveiled on Friday to celebrate the franchise’s 85th anniversary, for the first time during Wednesday’s game. * 2010-11: Today’s contest marks the first of six meetings between the Rangers and Penguins this season, and the first of three games at the CONSOL Energy Center. * Last Season: New York was 1-4-1 against the Penguins in 2009-10, including a 1-2-0 mark at Pittsburgh. * Power Play: The Rangers did not convert on two power play opportunities (4:00) yesterday vs. Edmonton. New York ranks 18th in the NHL with a 15.4% (10-65) success rate, and ranks eighth on the road with a 20.8% (5-24) success rate. The Rangers did not convert on one, five-on-three chance (0:39) on Thursday vs. the Sabres, and are now 0-3 on five-on-three attempts (2:47). New York is 0-1 (1:05) with a four-on-three advantage this season. Shorthanded goals allowed (0). * Penalty Killing: The Blueshirts held the Oilers scoreless in three shorthanded situations (6:00) yesterday at MSG, and are now 14-15 (93.3%) over the last five games. New York is tied for 22nd in the NHL with a 79.4% (54-68) success rate, and are 18th in the league on the road with a 80.6% (25-31) success rate. The Rangers held the Maple Leafs scoreless in one, three-on-five situation (0:31) on Oct. 30 at Toronto, and are 4-6 on three-on-fives (5:08) this season. The Blueshirts yielded one goal in two, three-on-four situations on Tuesday vs. Washington, and are now 3-5 (2:34) in those situations this season. Shorthanded goals for (2): 10/9 at BUF (Dubinsky); 11/5 at NJD (Dubinsky). * Four-on-Four: New York did not skate in a four-on-four situation in yesterday’s 8-2 win vs. Edmonton, and are now plus-one in 14, four-on-four situations (15:21) this season. Four-on-four goals for (2): 10/18 vs. COL (Frolov); 11/11 vs. BUF (Anisimov). Four-on-four goals allowed (1): 10/15 vs. TOR (Kessel). Tonight’s contest will close out the Rangers’ fourth of 18 back-to-back sets this season. The Blueshirts are currently 3-0-0 in the second game of back-to-backs, and are 2-0-0 when the second game is on the road, following a 3-0 win at New Jersey on Nov. 5. Last season, New York posted a record of 9-2-2 in the second game of back-to-backs, including a 5-1-1 mark when the second game of the set was on the road. Marian Gaborik posted his second hat trick as a Ranger, and 11th of his career, with three goals yesterday vs. Edmonton in just his second game back from injury. Gaborik, who played for the Minnesota Wild from 2000-01 to 2008-09, has registered both of his hat tricks with New York against Northwest Division opponents, having posted his first last season at Colorado on Jan. 31, 2010. In his second season as a Blueshirt, Gaborik also recorded an assist in yesterday’s contest to finish with four points, tying his single game high for points as a Ranger (Jan. 19, 2010 vs. TBL – four assists; Nov. 23, 2009 vs. CBJ – two goals, two assists). The Rangers have had seven different players credited with at least one game winning goal this season, which is tied for fifth most in the league. Washington has nine different players with at least one game winning goal, while Detroit, Los Angeles and Montreal each have eight different players with a game winner. Anaheim, Boston, Ottawa, Phoenix, and Vancouver are tied with New York entering tonight’s action. The Blueshirts currently lead the NHL with 306 blocked shots on the season, averaging a league-high, 18.0 blocked shots per contest. Dan Girardi ranks first in the NHL with 55 blocked shots, and Ryan Callahan leads all NHL forwards with 26 blocked shots. The Rangers currently rank second in the NHL with 495 hits on the season, and lead the league with an average of 29.1 hits per contest. Ryan Callahan leads the team and ranks second in the NHL with 65 hits, and Brian Boyle is tied for 22nd in the league with 43 hits on the season.